Over the weekend of 23 – 24th July 24 Finns plus a fleet of 18 Fireflies came to Keyhaven Yacht Club for an Open Meeting, this the second visit of the Finns and the first for the Fireflies. 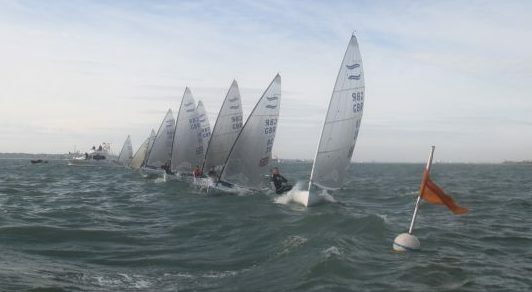 Both Classes have their Nationals in the next few weeks so this was for both classes a good chance to test their ‘form’, sailors coming from faraway places, including West Kirby and Burnham on Crouch. On Saturday morning fog greeted the fleets as they sailed into the Solent that resulted in perhaps a smaller course being set than was ideal. However this did keep racing very tight! Looking on from the Committee boat from where watching what takes place between the start and finish can be at times be compared to watching grass grow was in this case, just brilliant. Lots of tight crossings on the beats and runs with every mark rounding a cacophony of ‘water’, ‘no water, and ‘you can’t do that!’. For both fleets the spread from first to last at the finish was consistently less than one minute many of the boats finishing overlapped. 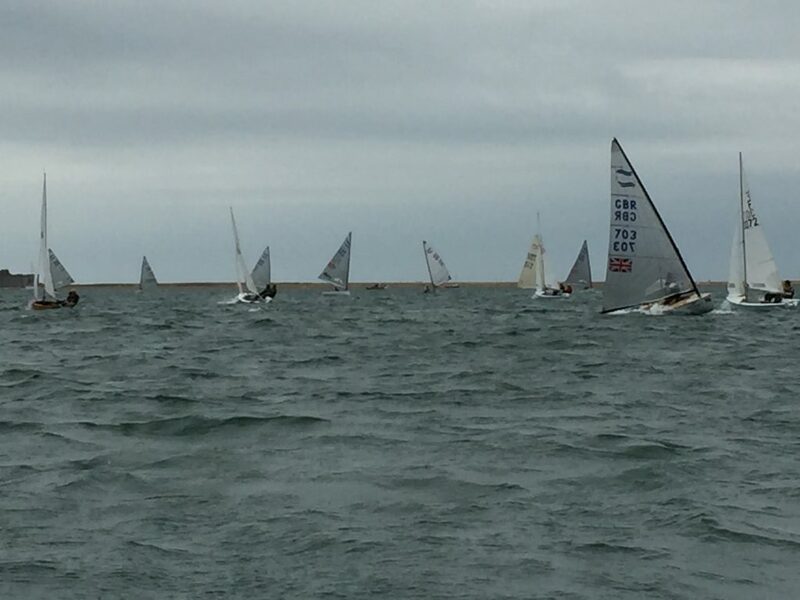 John Greenwood (GBR 5) lead the first race from start to finish, taking advantage of the right hand shift and push out of the Keyhaven River, in the 10 knot breeze. Chased hard by Martin Hughes (GBR 567), followed by Cameron Tweedle (GBR 91), for races two and three the tide had begun to turn and favour the left more, with the few that started at that end of a pretty square line right in the top bunch at the end of the short beat. The sun came out and the breeze built to a steady 15 knots, allowing the BFA U23 sailors to revel in the downwind legs, to record a 1,2,3 score in both races, leaving the Grand Masters struggling in their wake! 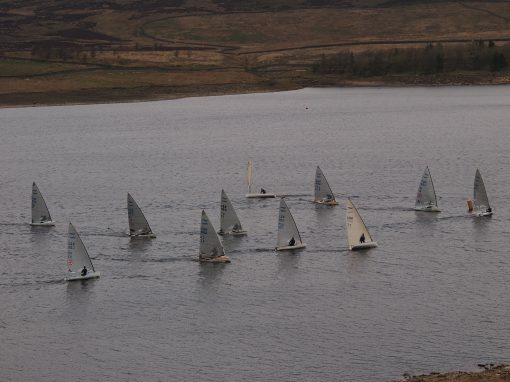 At the end of the formal racing, with time and tide to spare and with the wind now peaking an ‘ad hoc’ fourth race was run for the more masochistic sailors from both fleets. The offer of a fifth race was politely declined! Saturday evening saw everyone enjoying a BBQ and then it was up the road to the Milford on Sea village green where it was the last night of the Music Festival and allegedly the world’s No1 Coldplay tribute band Cold Place. 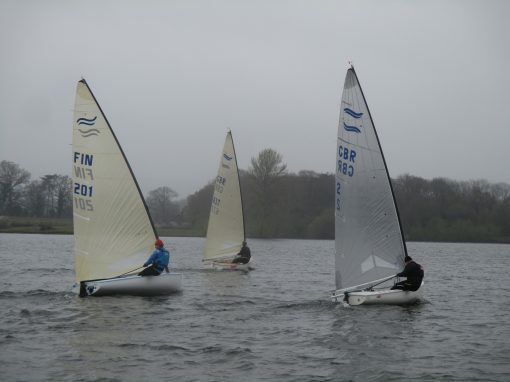 On Sunday the fleet was again greeted with all the wind they wanted ‘sans’ fog. A much bigger course was set this time and again as an observer from the relative comfort of the Committee boat I and my team were again treated to another day’s excellent and exciting sailing. Only two races were run the longer courses and steady F5-6 wind taking its toll on energy levels. The longer course with a leeward gate gave the competitors a great work out in preparation for the Nationals, but the fleet was still very close at the end of the 45min race. With Cameron and Markus wrapped up in their own match race that saw them over the line early, the finish guns reverted back the to the Masters sailors, with John Greenwood taking the win from Martin Hughes and Richard Sharp, (GBR 90) in third. 24 Finns registered to race with representation from all categories from U 23 to Legend sailing standard and Classic with Carbon boats and with many ex squad sails on display! 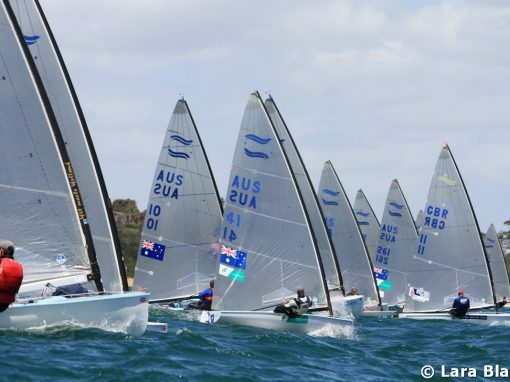 The Finns sailed windward / leeward’s courses and spectators on the mark laying boats and the race team enjoyed a brutal demonstration of downwind sailing by the three U23 sailors, recently returned from the Silver Cup. Cameron Tweedle, Matt Stevens and Marcus Bettum from the BFA U23 Squad, the highlight being the match race between Cameron and Matt on the second run of the final race. World Legends champion Howard Sellars, (GBR 77) showed great pace in a new veneered decked Petticrow boat to take the Legends Trophy. A highly successful weekend and before they left both class reps had requested a repeat event in 2017. 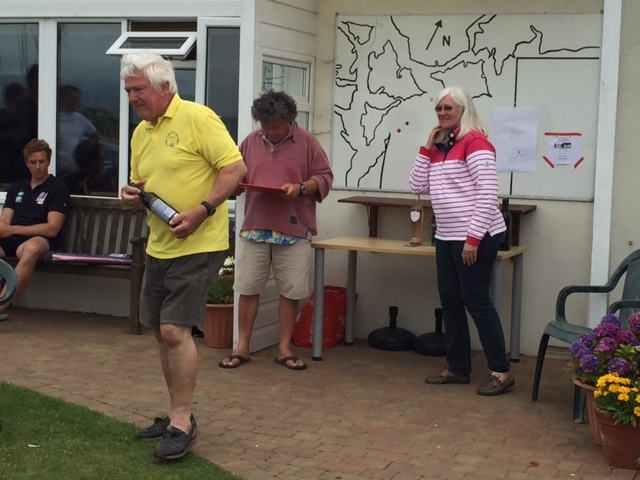 Keyhaven is rapidly becoming known as a ‘go to’ venue for dinghy regattas the very friendly Keyhaven Yacht Club having hosted the LRSCA Nationals in 2014 and 2016 as well as the Finn Open in 2015 and Laser SC GP in 2016. With its location at the top of a natural harbour making launching and coming ashore a ‘doddle’ regardless of the weather coupled with the relatively protected waters in the NW corner of the Solent it has to be ‘koalas off the trees’ for racing to be cancelled.